No don’t worry, we haven’t joined a weird cult. 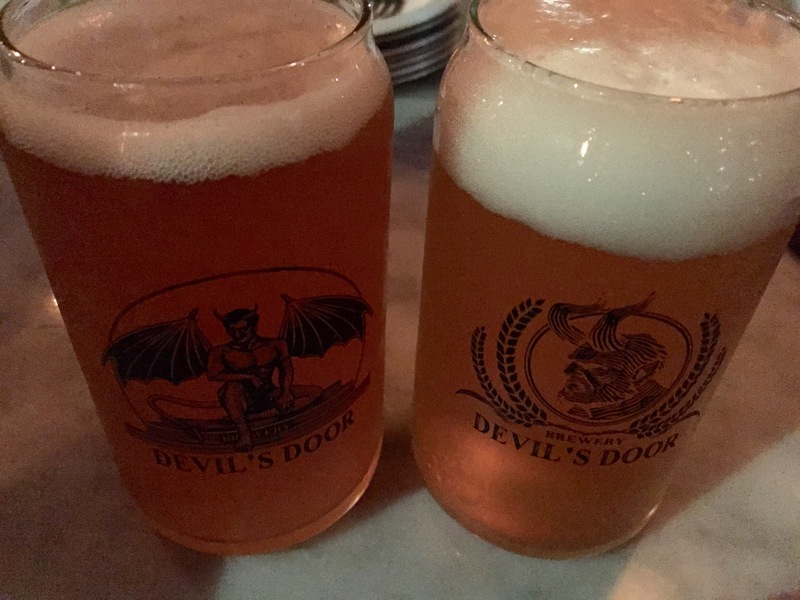 Devil’s Door is a brewery and restaurant over in Banpo area. 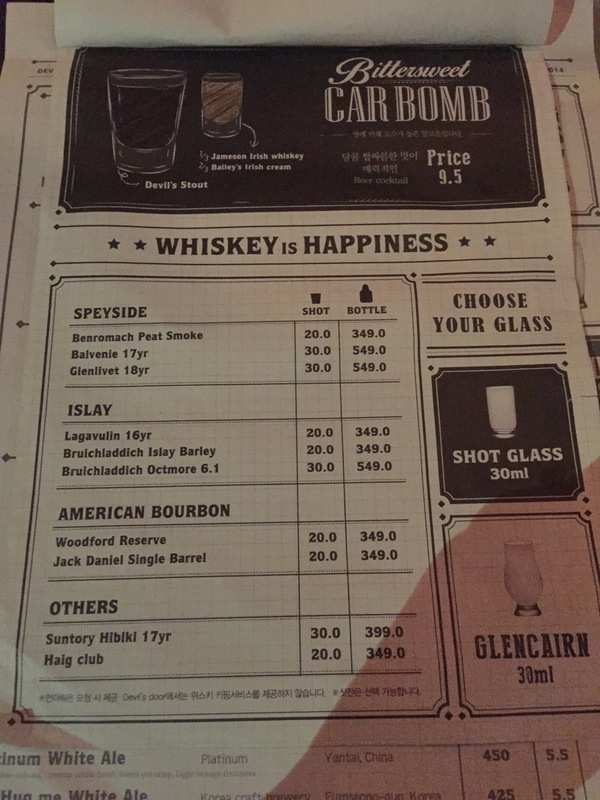 We were introduced to it yesterday and definitely recommend it to everyone for a fun atmosphere, good food and yummy brews. 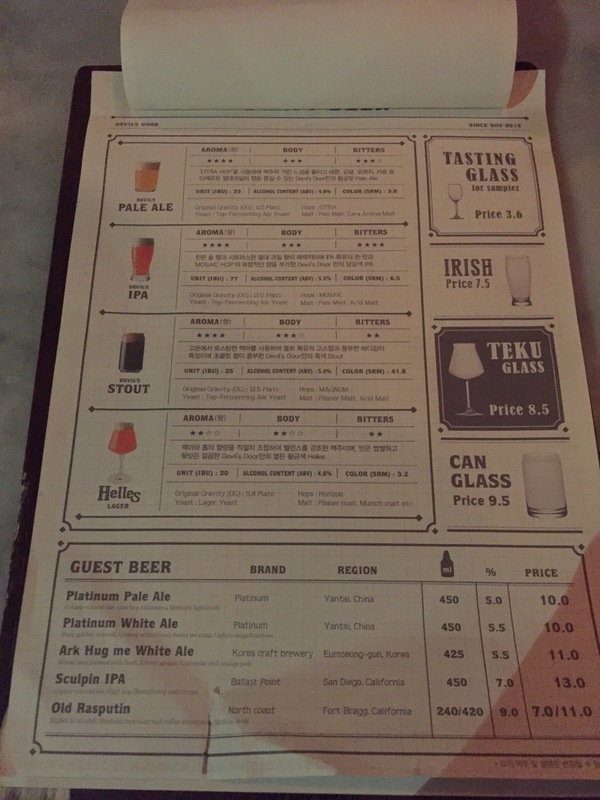 We tried the Helles, Pale Ale, and IPA. All of them were delicious! They also serve them in these cool “can” glasses. 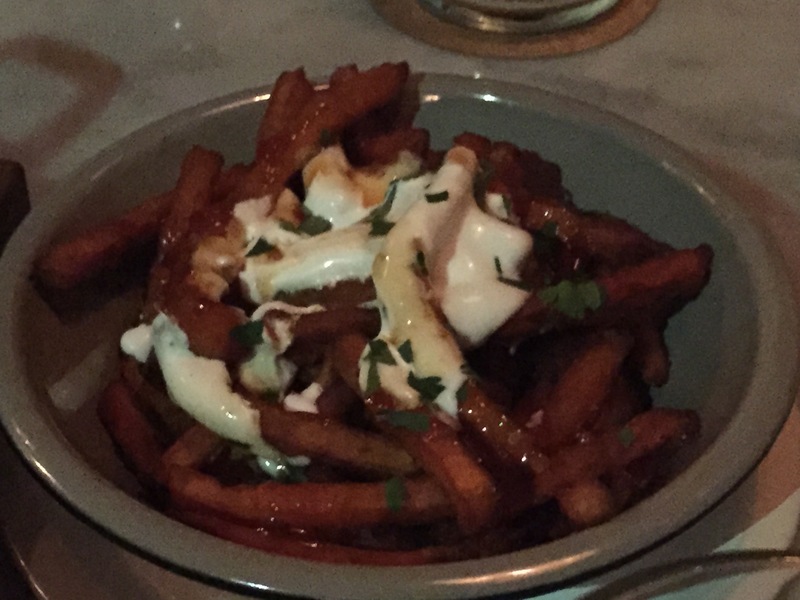 We also tried the sweet potato fries (they were topped with a sweet chili and cheese sauce). They were pretty tasty. The Devil’s Door burger was actually the closest to an American style burger that we’ve had (the burger had caramelized onions, cheese, and tomato). 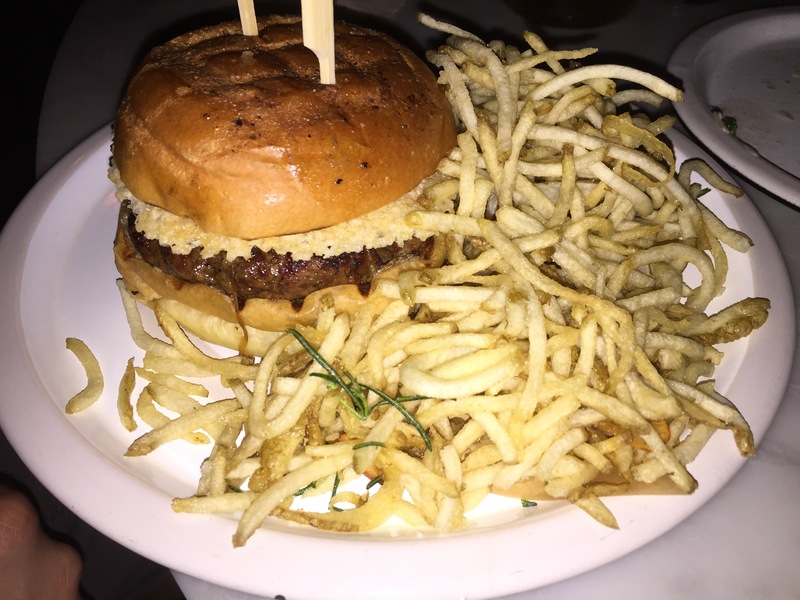 The burger came with garlic herb shoestring fries too! 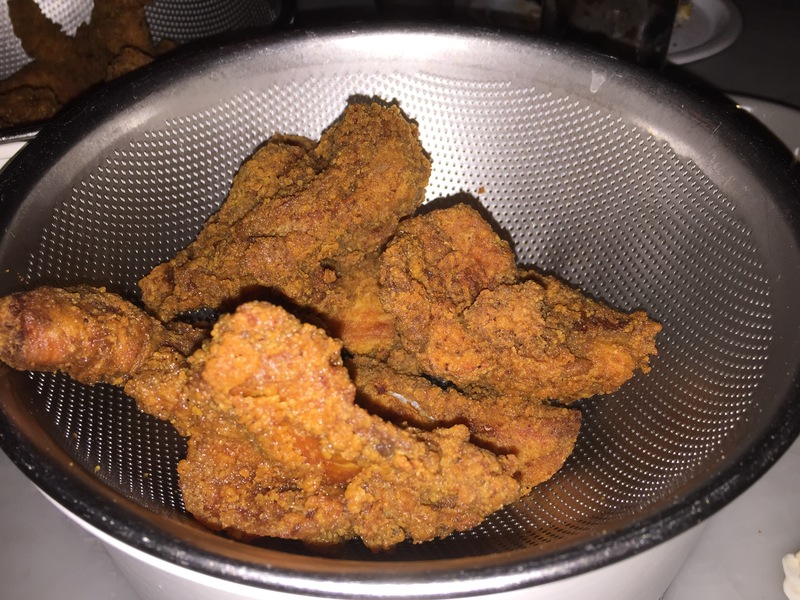 Finally, you must try the Buttermilk fried chicken! All the pieces are boneless except for the drumstick and the wing. The flavor of the batter and extra crispness of the chicken is awesome. 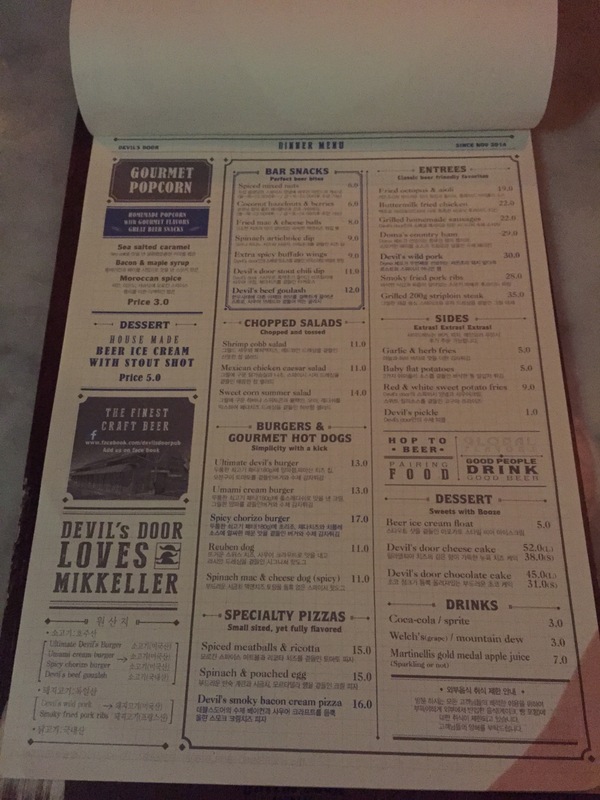 The restaurant plays some very modern American music and the decor is very rustic feeling. We really enjoyed our experience and we definitely will be back.